Is Cash Relief Now A SCAM? Read The Shocking Truth! Incloude Review : Genuine Business Or Big SCAM? Crypto Cash Pool Review : Another Obvious SCAM Or Good Business? Welcome to the FULL Crypto Cash Pool Review! Have you noticed that the Crypto Cash Pool has been getting a lot of attention online? Perhaps you have seen their affiliates on social media pitching to people about the business opportunities at Crypto Cash Pool. It is always important you do your research about the company before you join their business opportunity. There are so many cases of people who have lost their hard earned money joining the wrong MLM business that turned out to be a scam. My sincere advice: don’t let this happen to you! In this review, we are going to look at the Crypto Cash Pool compensation plan, products and owners. Hopefully by the end of this review you will know whether Crypto Cash Pool is the right business for you to join or not. What exactly is Crypto Cash Pool? To get this information, I went to Crypto Cash Pool website to look for details about the company. I was disappointed to find that there is no information on the website that could lead us to know who is the owner of the company, where the company is located or when it first started running. This is a big red flag for anyone looking to join Crypto Cash Pool as an affiliate. However, I was able to gather information about the website domain name as “cryptocashpool.com” which was registered privately on 6th September 2017. On the product side of things, Crypto Cash Pool does not have any products that it sells to customers for profit. As a result, there is no retail sales activity that is going on in this company. Most MLM companies generate money through the products and services that they sell to customers. That is how they get the money to pay commission to their affiliates. How this company generates money remains to be seen. 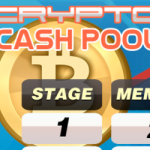 People who join Crypto Cash Pool as affiliates only have got the affiliate membership to market. Tell me about the compensation plan? For you to take part in Crypto Cash Pool compensation plan, you are required to sign up as an affiliate. Crypto Cash Pool uses a 2 x 5 matrix system where affiliates donate bitcoins to each other. When you sign up as an affiliate, you are required to pay 0.001 BTC as gift payment to an existing affiliate. In the first level, the two affiliates who join below you will be required to pay you 0.001 BTC as gift payments. In the second level, the two affiliate positions in the first level are split into two so that you have four affiliate positions in this level. The other positions in the third, fourth and fifth level are created in the same manner. · First Level – Affiliates donate 0.001 BTC to an existing affiliate and then earn 0.001 BTC from two self sponsored affiliates. · Second level – Affiliates donate 0.002 BTC and earn 0.002 BTC from four member affiliates. · Third level – Affiliates donate 0.006 BTC and earn 0.006 BTC from eight member affiliates. · Fourth level – Affiliates donate 0.029 BTC and earn 0.029 BTC from sixteen member affiliates. · Fifth level – Affiliates donate 0.25 BTC and earn 0.25 BTC from thirty two member affiliates. When you check online, you will see people claiming that Crypto Cash Pool is a scam. But, is it true? After reading this Crypto Cash Pool review, I am sure you have an idea whether this business is a scam or not. From this review, it is clear that Crypto Cash Pool is a gifting scheme that relies on donations from new affiliates to survive. When you join this company, you are required to make a donation to existing affiliate. However, it is not a guarantee that you will receive any donation yourself until somebody joins your team. What happens when all the hype about this company dies? People will stop signing up as new affiliates. With no products to sell to customers at a profit, affiliates will have no other means to make a living out of this business. As a result, they will exit the business looking for other rewarding opportunities. Like many other MLM gifting schemes, Crypto Cash Pool will inevitably collapse. To avoid the frustrations that come with losing your hard earned money, I strongly suggest you think twice before paying money to join Crypto Cash Pool as an affiliate. I hope that this Crypto Cash Pool Review has been helpful. If you are really considering starting your own online business, then you have to check out the free online entrepreneur course on How To Turn Your Passion into a Thriving Online Business In 4 Easy Steps. In this course, you will discover the steps that I and many others have taken to earn thousands of dollars online.